Despite the long-time talk about the demise of the street-market as an inefficient place to make money street-markets, flea-markets and car-boot sales are booming. People seem to have discovered these places not only as markets to buy and sell objects but also as places for leisure activities. In London and other big cities street-markets have become major tourist attractions. In recent years, they have been redeveloped to increase their attractiveness and possibly also to give them a more trustworthy, clean and orderly look. Moreover, they often are equipped with surveillance cameras and security staff who police trading and behaviour more generally. Yet, what has remained largely the same over the past years is that sales are produced in interaction between traders and customers, people who first show an interest in a particular stall or sales item and then make a purchase, or sometimes leave without buying anything. “Price” and”price information” plays a particular part in the interaction between traders and their customers. In “Timing is money” I consider pricing not so much as a process of calculation for the participant to get the best value out of the interaction, although this may play a part in this as well, but as a communicative practice that traders and customers deploy in the interaction. The paper examines the moment when and the way in which traders and customers use “price” in their interaction, e.g. when do they use price in an offer or request of a sales item? It turns out that price is often deployed as a technique to manage the ‘floor’ and the interaction at the stall. For example, when customers display an interest in an item but are not yet committed to buying an item offers, including price information, are designed in a particular way that encourage the customers to commit to make a purchase. The paper uses “focused ethnography” as a research method. Alongside other recent developments in ethnography, such as “short-term ethnography” (Pink and Morgan 2013) Hubert Knoblauch developed “focused ethnography” (2005) an observational research methods that often supported by video-recordings examines in detail particular settings and activities while spending only relatively short periods of time there. Knoblauch, Hubert (2005). Focused Ethnography [30 paragraphs]. Forum Qualitative Sozialforschung / Forum: Qualitative Social Research, 6(3), Art. 44, http://nbn-resolving.de/urn:nbn:de:0114-fqs0503440. Llewellyn, N. and Burrow, R.. (2008) Streetwise sales and the social order of city streets British Journal Of Sociology 59: 561-583. It’s increasingly recognized that while large parts of the of populations of the US (and other Western countries) are aware of climate change and accept that human action contributes to it only little behavioural change can be observed. People continue with their lives as usual although knowing their actions contribute to climate change. President Obama now has launched the development of a website that is designed to make visible to people the impact of climate change locally, in their citie and neighborhoods. The New York Times reported on this development in its Science Section “Obama Turns to Web to Illustrate the Effects of a Changing Climate” and cites the motivation behind the campaign as “building a political case for the climate rules, both by defusing the opposition and by trying to create an urgent sense among Americans that they are necessary”. Gail Markle’s recent article “Accounting for the Performance of Environmentally Significant Behavior: The Symbolic Significance of Recycling” published in Symbolic Interaction addresses this very same issue. Markle investigates why people consider recycling as a sufficient action to help the environment although being aware of the impact their consumption habits and life-style have on the environment. A related campaign to use the Internet to raise awareness for ethics and ethical action has recently been launched by Andrea Prothero, Associate Professor at University College Dublin. The Facebook Group Talk About Ethics was launched a couple of weeks ago and encourages its members to take pictures of themselves stating why ‘talking about ethics’ is important. The first lecture introduces the course content, rationale and requirements of the course. Kotler, P. & G. Armstrong (2013). Principles of Marketing. Harlow: Pearsons. Humphreys, L. (2005). “Cellphones in Public: Social Interactions in a Wireless Era.” New Media & Society 7 (6): 810–833. Kujovich, Mary Yeager. 1970. “The Refrigerator Car and the Growth of the American Dressed Beef Industry.” The Business History Review 44 (4): 460–482. Wei, Ran, and Louis Leung. 1999. “Blurring Public and Private Behaviors in Public Space: Policy Challenges in the Use and Improper Use of the Cell Phone.” Telematics and Informatics 16 (1): 11–26. Selinger, E. (2013). How not to be a jerk with your stupid smartphone. The Atlantic (November). Public debates about technological innovation often talk about the ‘revolutionary’ impact of new technology. There are myriad examples for this phenomenon: “the internet revolution”, the “social media revolution” or the “Twitter revolution” to name but a few. These discussions principally argue that technological developments are shaping how we conduct our affairs, including how we organise our daily interactions as well as how we conduct marketing activities. At the same time, these discussions often ignore the political shaping and relevance of these technologies. This lecture explores the textbook premises of the relationship between marketing and technology. It sheds light on different perspectives on how technology is interwoven with marketing theory and practice. Constantinides, E. (2006). “The Marketing Mix Revisited: Towards the 21st Century Marketing.” Journal of Marketing Management 22 (3-4): pp. 407–438. Bartels, R. (1986). Marketing: Management Technology or Social Process at the Twenty-First Century? In Marketing Management Technology as a Social Process. Edited by George Fisk. New York et al. : Praeger, pp.30-42. Marx, L. (2010). Technology: The Emergence of a Hazardous Concept. Technology & Culture, 51(3), 561-577. Möller, K. (2006). “The Marketing Mix Revisited: Towards the 21st Century Marketing by E. Constantinides.” Journal of Marketing Management 22 (3-4): pp. 439–450. Robertson, D., and B. Breen. 2013. Brick by Brick: How LEGO Rewrote the Rules of Innovation and Conquered the Global Toy Industry. Random House Business. Stone, Brad. 2013. The Everything Store: Jeff Bezos and the Age of Amazon. Bantam Press. Kaplan, Andreas M., and Michael Haenlein. 2010. “Users of the World, Unite! The Challenges and Opportunities of Social Media.” Business Horizons 53 (1): 59–68. Bernoff, J., & Li, C. (2008). Harnessing The Power of The Oh-So-Social Web, MIT Sloan Management Review, 2008, 49, pp. 335-342.
boyd, d. (2010). “Social Network Sites as Networked Publics : Affordances, Dynamics, and Implications.” In Networked Self: Identity, Community, and Culture on Social Networking Sites, ed. Zizi Papacharissi, pp.39–58. Abingdon: Routledge. Ferguson, R., (2008). Word of mouth and viral marketing: taking the temperature of the hottest trends in marketing. Journal of Consumer Marketing, 25(3), pp. 179 – 182. Watts, Duncan J, and Steve Hasker. 2006. “Marketing in an Unpredictable World.” Harvard Business Review. Watts, D.J., 1999. Networks, Dynamics, and the Small-World Phenomenon. American Journal of Sociology, 105(2), p.493-527. Papacharissi, Zizi (2008). Networked Self: Identity, Community, and Culture on Social Networking Sites. Abingdon: Routledge. At the same tome as social media and social networking has risen in importance for marketing practitioners new challenges have emerged that for example impact the ways in which companies’ reputation can be impacted by the use of these new media. This lecture draws on a few recent examples to explore some of these challenges to companies’ reputation and discusses ways in which companies might manage their reputation when using social media and social networking sites for their marketing communications. Gruzd, A., B. Wellman, and Y. Takhteyev. 2011. “Imagining Twitter as an Imagined Community.” American Behavioral Scientist 55 (10): 1294–1318. Hamilton, K. & P. Hewer. (2010). Tribal mattering spaces: Social-networking sites, celebrity affiliations, and tribal innovations. Journal of Marketing Management, 26(3), p.271-289. Hennig-Thurau, T., E. C. Malthouse, C. Friege, S. Gensler, L. Lobschat, a. Rangaswamy, and B. Skiera. 2010. “The Impact of New Media on Customer Relationships.” Journal of Service Research 13 (3): 311–330. Phelps, J. E., Lewis, R., Mobilio, L., Perry, D., & Raman, N. (2004). Viral Marketing or Electronic Word-of-Mouth Advertising: Examining Consumer Responses and Motivations to Pass Along Email. Journal of Advertising Research, 44(4), 333-348. Rainie, L., & Wellman, B. (2012). Networked: The New Social Operating System. MIT Press. Sarstedt, M. (2009). Reputation Management in Times of Crisis. Journal of Brand Management. Vol.16, 499-503. Jenkins, Henry. 2008. Convergence Culture: Where Old and New Media Collide. New York University Press. Over the past decade or so two important developments have emerged in the context of Internet Marketing: Search Marketing and Social Media Marketing. The growing economic weight of companies like Google suggest that Search will be one of the important marketing activities over the coming years. It is being used to obtain an understanding of the market as well as for the building of relationships and networks (Marsden and Kirby 2005; Moran and Hunt 2008). The lecture will discuss some of the practices involved in Search Marketing and assess possible problems these practices might raise for the relationship between companies and their customers. It then will turn to Social Media Marketing and explore how social networks like Facebook, Myspace or Jumo are used for marketing purposes, including the design, promotion and distribution of products and services (Penenberg 2009; Scott 2008). The discussion will touch on current debates concerned with viral marketing and online gaming as well as trust and reputation. Rijnsoever, Frank J. van, Castaldi, Carolina, Dijst, Martin J. (2012). In what sequence are information sources consulted by involved consumers? The case of automobile pre-purchase search, Journal of Retailing and Consumer Services, 19(3), pp.343-352. Marsden, P., & Kirby, J. (2005). Connected Marketing: The Viral, Buzz and Word of Mouth Revolution. Butterworth-Heinemann. Moran, M., & Hunt, B. (2008). Search Engine Marketing, Inc.: Driving Search Traffic to Your Company’s Web Site. IBM Press. Pariser, E., 2011. The Filter Bubble: What The Internet Is Hiding From You, Viking. The arrival of new technology has also been picked up by market and consumer researchers. For example, over recent years video recording of consumers in shopping and leisure environments has been used to track people’s navigation through isles and gain an understanding of their shopping behaviour. With the arrival of the internet it has been recognised that people’s every ‘click’ can be tracked and followed and the information be used to personalise offers. This lecture critically assesses how technology is used to improve companies’ profits as well as offers for customers and considers some of the practical and ethical implications of these developments. Brennan, Ross, Stephan Dahl, and Lynne Eagle. 2010. “Persuading Young Consumers to Make Healthy Nutritional Decisions.” Journal of Marketing Management 26 (7-8) (July 9): 635–655. Aaker, J., & A. Smith. (2010). The Dragonfly Effect: Quick, Effective, and Powerful Ways to Use Social Media to Drive Social Change. Jossey Bass. Peattie, K., & Belz, F. F.-M. (2009). Sustainability Marketing: A Global Perspective (p. 306). John Wiley & Sons. Striphas, T. (2009). The Late Age of Print: Everyday Book Culture from Consumerism to Control. Columbia University Press. Vaidhynathan, S., 2011. The Googlization of Everything: (And Why We Should Worry), Berkeley, CA: University of California Press. Over the past few weeks an article by Nick Bilton in the New York Times has raised not only eyebrows but also concerns that the journalist may have gone a little far with his argument to abandon commonly accepted and taken for granted ‘rules of conduct’ and courtesy rituals when using technology. Bilton’s article has received more than 500 comments to some of which he has curteously responded and various journalists, writers and academics, including Nick Carr and Evan Selinger, have written pieces addressing some of the issues raised in his piece. Many of the comments and associated pieces call into question Bilton’s main argument that common forms of etiquette are inefficient and a waste of our time. The debate reflects a growing uneasiness and uncertainty on the “proper” or “acceptable” use of technology in social occasions. In her film Connected Tiffany Shlain recalls a situation with a friend she had not seen for a long time when the urge to check her phone for new messages was so overwhelming that she apologized herself to the toilet just to update herself on the going-ons elsewhere in the world. The situation Shlain describes is symptomatic for the uneasiness in the use of technology when in social situations. Whilst in some situations it is acceptable to occasionally glance at the phone in others it is not or it is not clear whether or not it is acceptable. A solution to deal with the situation then is to use techniques or methods like ‘an apology from the table’ and temporarily leave the situation. Thus, the sociability and intimacy of the situation is left intact whilst it becomes possible to use the phone away from the table. The deployment of these techniques also reveals that the leave taking from the table is an accountable action and that not all accounts will do as a satisfying explanation for leaving the table. For example, going to the toilet is acceptable whilst saying you want to check your Facebook Wall for updates in press less so. In other situations, people unproblematically use their phones while with another person. For example, it is quite common for people sitting at a coffee table to pick up the phone and receive or make calls. Over time methods have been developed that allow people to use a cell phone in these situations. For example, when a cell phone rings at a coffee table where two friends converse the call-taker apologies her/himself while picking up the phone and taking the call. The friend then becomes a third-party to the phone conversation and often provides the call-taker privacy by excusing her/himself (e.g. to the toilet) or by engaging in other activities, such as checking her/his own phone, picking up a newspaper or book, or by looking in the distance (Humphreys 2005). This does not mean, of course that the friend might not feel undermined or undervalued in the situation, in particular when the phone keeps on ringing and interrupting the face-to-face interaction. Hence, in such situations we sometimes decide to switch the phone off and eliminate this influence from the face encounter. By and large, people nowadays are familiar with the ubiquitiousness of technology. They employ methods that allow them to use technology and at the same time to limit or sanction its use, depending on situational circumstances. They also create situations that are marked by new rules, such as the “no phones at the dinner table” rule or the “techno shabbath” that ban technology from situations for longer periods. Arguments about the use of technologies in situations arise relatively rarely and mostly with those who are not familiar with or not adhering to these rules and social conventions.1 For example, children like Evan Selinger’s daughter are being socialized into the use of technology and its fitting within different social contexts. With regard to email that has been around for considerable time now and that features particularly prominently in Bilton’s NYT piece social conventions have been developed and are deployed on a day-to-day basis. As with the use of other technologies, such as cell phones, mobile game consoles etc., these conventions and rules are not fixed and followed but contingently drawn on and referred to when the acceptability of their use is questioned or challenged. I would presume that Bilton’s efficiency rule with regard to courtesy conduct in email has long been deployed, in certain situations when time was tight. Such conduct that uses efficiency as an account for the withholding of an act of courtesy however also can be detrimental to the very purpose of its accomplishment, e.g. the withholding of a “thank you” in receipt of an email. Most of us probably have encountered situations when the withholding of a simple “thank you” note in response to an email has occasioned an exchange by email or over the phone to confirm the receipt of an email; a “thank you” note in response to the original email would have been much more efficient than its withholding. How we conduct ourselves and how we refer to and draw on social conventions or etiquettes comes down to the specifics of the situation in which we find ourselves when using technology and to our competencies to conduct ourselves in specific circumstances. The artificial general abandoning of courtesy action by virtue of some kind of rule set by the Biltons of this world would be non-sensical; and Nick Bilton would probably agree with this. Instead, we all gradually adapt our acquired social competencies to the pervasiveness of technology in situations, thereby embedding technology within our lives and those we live with. And as parents we are responsible for providing our children with the knowledge and skills that allow them to act and be seen as acting, competently in technology-rich situations. 1 With regard to social conventions in “Technolosocial Situations” see also Mizuko Ito‘s research and Tricia Wang‘s work. 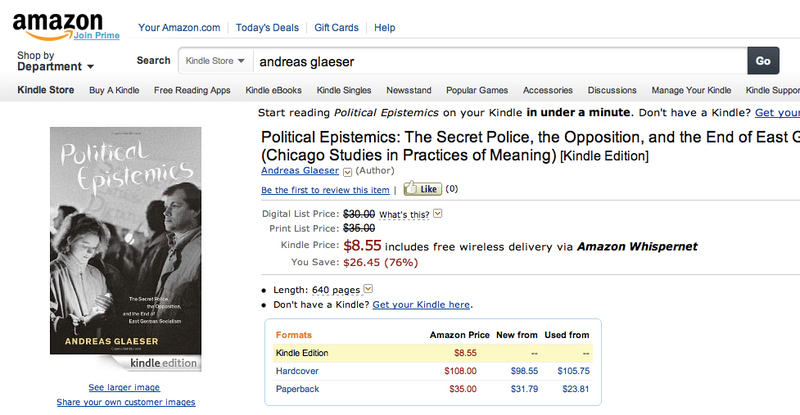 When I tweeted a review of Andreas Glaeser’s book yesterday that I had read on orgtheory.net a friend retweeted the post and added that “it’s only $8.55 on kindle”. Since I new the book was priced at £18.17 on amazon.co.uk I looked up the amazon.com site with my iPhone and noticed that it showed me a price of $29.10. When arriving home I checked the book on my laptop and found a difference in price when I looked into the amazon.com site from when I was not logged in. When logged into Amazon.com the price was $29.10. When I log out of my account and search for the book again, the price goes down to $8.55. This observation points wither to personalized pricing or to big differences in geographical pricing of books and probably other items. In any case it reminds me of the advice that Eli Pariser gives in his book an on his website The Filter Bubble, clean your cookies. In recent years, there has been a lot of discussion about the “internet revolution” or the “social media revolution”. These discussions principally argue that technological developments are shaping how we conduct our affairs, including how we organise our daily interactions as well as how we conduct marketing activities. This introductory lecture questions this premise that pervades also many marketing textbooks and sheds light on different perspectives on the relationship between marketing and technology. The lecture also offers information on the practical issues involved in successfully participating in the module, such as the use of online resources, attendance and participation in lectures and tutorials and the modes of assessment operating in the course. Brassington, D. F., & Pettitt, D. S. (2007). Essentials of Marketing. Harlow/UK: Financial Times/ Prentice Hall. Marcuse, H., 1989. Some Social Implications of Technology. In A. Arate & E. Gebhardt, eds. 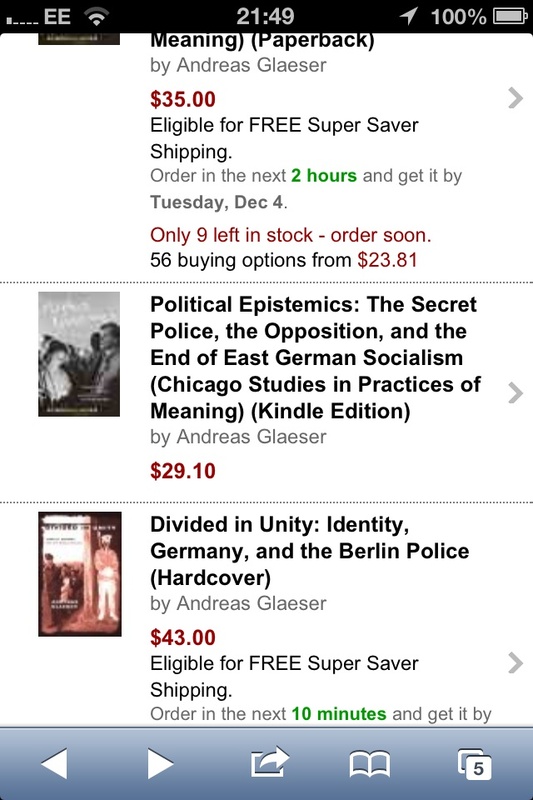 The Essential Frankfurt School Reader. London & New York: Continuum International, pp. 138-162. Gerardi, S., 2006. Some implications of modern technology: Revisited. The Social Science Journal, 43(2), p.293-295. *Marx, L. (2010). Technology: The Emergence of a Hazardous Concept. Technology & Culture, 51(3), 561-577. Rust, R. & Espinoza, F., 2006. How technology advances influence business research and marketing strategy. Journal of Business Research, 59(10-11), 1072-1078. Over the course of its history marketing has developed powerful technologies that nowadays are central to the knowledge disseminated in marketing textbooks like Kotler and colleagues Principles of Marketing. This lecture uses theories and concepts of technology to examine and critically discuss some of the foundations underlying the marketing concepts and related marketing technologies. Bowker, G. & Star, S.L., 1999. Sorting Things Out. Classification and its Consequences, Cambridge, MA/London: MIT. Joerges, B., 1994. Do Politics have Artefacts? Social Studies of Science, 23(1), p.1-20. Martin, A. & Lynch, M., 2009. Counting Things and People: The Practices and Politics of Counting. Social Problems, 56(2), p.243-266. *Matthewman, S. (2011). Technology and Social Theory. London: Sage. *Suchman, L., 1993. Do Categories have Politics? Journal of Computer Supported Collaborative Work (JCSCW), 2, p.177-190. Tadajewski, M., 2006. The ordering of marketing theory: the influence of McCarthyism and the Cold War. Marketing Theory, 6(2), p.163-199. *Rust, R. & Espinoza, F., 2006. How technology advances influence business research and marketing strategy. Journal of Business Research, 59(10-11), 1072-1078. *Winner, L., 1986. Do Artifacts have Politics ? In The whale and the reactor: a search for limits in an age of high technology. 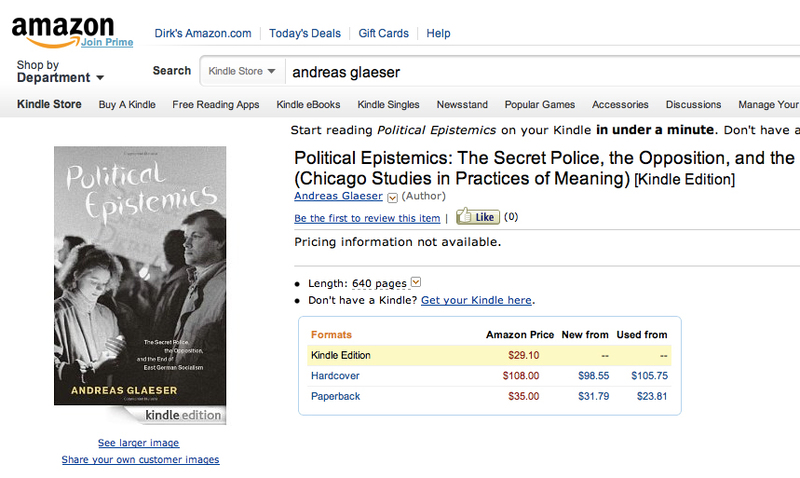 Chicago: University of Chicago Press, pp. 19-39. Underlying this concept of money and exchange is the distinction between rational action and other types of social action. In recent years, this distinction has been criticised and the social uses of money have been elaborated on. This lecture examines the relationship between different types of social action, explores the discussion of the social uses of money and the different ways in which exchange may be organised. *Beckert, J. (2009). The social order of markets. Theory and Society. Vol.28(3), pp.245-269. Fligstein, N., & Dauter, L. (2007). The Sociology of Markets.Annual Review of Sociology, 33(1), pp.105-128. *Granovetter, M., 1973. The Strength of Weak Ties. American Journal of Sociology, 78(6), p.1360-1380. Portes, A., 1998. Social Capital: Its Origins and Applications in Modern Sociology. Annual Review of Sociology, 24(1), p.1-24. Spillman, L., 1999. Enriching Exchange : Cultural Dimensions of Markets. Journal of Economics, 58(4), p.1047-1071. *Watts, D.J., 1999. Networks, Dynamics, and the Small-World Phenomenon. American Journal of Sociology, 105(2), p.493-527. Zelizer, V.A., 2011. The Social Meaning of Money : “Special Monies”’. Culture, 95(2), pp.342-377. Rob Wilmot is one of the co-founders of the Internet Service Provider (ISP) Freeserve. Since 1998, the company facilitated mass access to the internet in the UK. After the company was sold for £1.6bn to Wannado in 2001 Rob has been investing in various ventures. He sits on a number of corporate and public sector boards. He also is Chairman at Doncaster College. One of his current interests are developments in social media and social networking. In his lecture Rob will talk about these developments and their relationship to marketing. Bernoff, J. & Li, C., 2008. Groundswell: Winning in a World Transformed by Social Technologies, Cambridge, MA: Harvard Business School Press. Brogan, C. & Smith, J., 2010. Trust Agents: Using the Web to Build Influence, Improve Reputation, and Earn Trust. Chichester: John Wiley & Sons. *Cova, B. & Dalli, D., 2009. Working consumers: the next step in marketing theory? Marketing Theory, 9(3), p.315-339. Hamilton, K. & Hewer, P., 2010. Tribal mattering spaces: Social-networking sites, celebrity affiliations, and tribal innovations.Journal of Marketing Management, 26(3), p.271-289. Katona, Z., Zubcsek, P.P.A.L. & Sarvary, M., 2011. Network Effects and Personal Influences : The Diffusion of an Online Social Network. Journal of Marketing Research, XLVIII(June), p.425-443. Kirkpatrick, D., 2010. The Facebook Effect: The Inside Story of the Company that is Connecting the World, Virgin Books. Social networking sites are often used to communicate about brands, products and service. They therefore have become sites where brand image and brand vale are created or co-created with people contributing to the communication. This communication can involve talk about people’s experience with products and services and often also includes communication in which people vent their dissatisfaction with companies. And in some cases, employees submit information to social networking sites that potentially influence the company’s brand image or reputation. This lecture discusses some aspect of reputation management and social networking. *Ferguson, R., 2008. Word of mouth and viral marketing: taking the temperature of the hottest trends in marketing. Journal of Consumer Marketing, 25(3), p.179 – 182. Holloman, C., 2012. The Social Media MBA: Your Competitive Edge in Social Media Strategy Development and Delivery, Chichester: John Wiley & Sons. Katona, Z., Zubcsek, P.P.A.L. & Sarvary, M., 2011. Network Effects and Personal Influences : The Diffusion of an Online Social Network. Journal of Marketing Research, XLVIII(June), p.425 -443. Miller, D., 2011. Tales from Facebook, Cambridge: Polity Press. Siamack Salari is founder of Everyday Lives a market and consumer research company that is well known for its innovative use of technology to conduct its studies. The projects of Everyday Lives include video-based research of shopping behaviour as well as detailed ethnographies of how people use products in their day-to-day lives. *Belk, R. W. (1995). Studies in the New Consumer Behavior. In D. Miller (ed.) Acknowledging Consumption. London: Routledge, 58-95. *Belk, R. W., & Kozinets, R. V. (2005). Videography in marketing and consumer research. Qualitative Market Research: An International Journal, 8(2), 128-141. Over the past decade or so two important developments have emerged in the context of Internet Marketing: Search Marketingand Social Media Marketing. The growing economic weight of companies like Google suggest that Search will be one of the important marketing activities over the coming years. It is being used to obtain an understanding of the market as well as for the building of relationships and networks (Marsden and Kirby 2005; Moran and Hunt 2008). The lecture will discuss some of the practices involved in Search Marketing and assess possible problems these practices might raise for the relationship between companies and their customers. It then will turn to Social Media Marketing and explore how social networks like Facebook, Myspace or Jumo are used for marketing purposes, including the design, promotion and distribution of products and services (Penenberg 2009; Scott 2008). The discussion will touch on current debates concerned with viral marketing and online gaming as well as trust and reputation. Marsden, P., & Kirby, J. (2005). Connected Marketing: The Viral, Buzz and Word of Mouth Revolution. A Butterworth-Heinemann Title. Penenberg, A. (2009). Viral Loop: The Power of Pass-it-on. Sceptre. *Phelps, J. E., Lewis, R., Mobilio, L., Perry, D., & Raman, N. (2004). Viral Marketing or Electronic Word-of-Mouth Advertising: Examining Consumer Responses and Motivations to Pass Along Email. Journal of Advertising Research, 44(04), 333-348. Scott, D. M. (2011). The New Rules of Marketing and PR: How to Use News Releases, Blogs, Podcasting, Viral Marketing and Online Media to Reach Buyers Directly. (3rd Edition). Hoboken: John Wiley & Sons. *Sweeney, J. C., Soutar, G. N., & Mazzarol, T. (2008). Factors influencing word of mouth effectiveness: receiver perspectives.European Journal of Marketing, 42(3/4), 344-364. Vaidhynathan, S., 2011. The Googlization of Everything: (And Why We Should Worry), Berkely, CA: University of California Press. Service-Marketing has emerged as an alternative to the managerial approach to marketing that dominated developments in the discipline for the past four or five decades. This chapter briefly introduces the key concepts of service- and relationship marketing and then turns to the recent deployment of service technology into service- and retail-settings. It will briefly discuss the research on these developments and then examine some aspects of the relationship between service technology and customers by examining video-recordings collected in museums and galleries. Armstrong, G., Kotler, P., Harker, M., & Brennan, R. (2009).Marketing an Introduction. Financial Times/ Prentice Hall. Bitner, M. J. (2001). 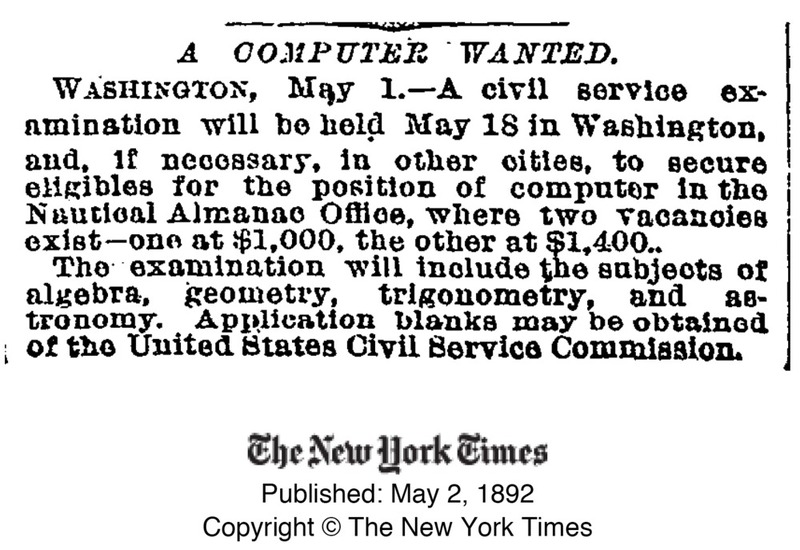 Service and technology: opportunities and paradoxes. Managing Service Quality, 11(6), 375 – 379. Bitner, M., Brown, S., & Meuter, M. (2000). Technology infusion in service encounters. Journal of the Academy of Marketing Science, 28(1), 138-149. Curran, J. M., & Meuter, M. L. (2005). Self-service technology adoption: comparing three technologies. Journal of Services Marketing, 19(2), 103-113. *Heath, C. & Lehn, D. vom, 2008. Configuring “Interactivity”: Enhancing Engagement in Science Centres and Museums. Social Studies of Science, 38(1), p.63-91. Holloway, B. B., & Beatty, S. E. (2003). Service Failure in Online Retailing: A Recovery Opportunity. Journal of Service Research,6(1), 92-105. Parasuraman, A., & Grewal, D. (2000). The impact of technology on the quality-value-loyalty chain: A research agenda. Journal of the Academy of Marketing Science, 28(1), 168-174. Jadis Tillery is Head of Social Media for dot.talent a digital publisher for celebrity talent and top tier brands. In this role Jadis develops strategic WOM campaigns to harness the power of the social web through content creation and authentically engaging online communities. Benkler, Y., 2007. The Wealth of Networks, Yale University Press. *Hamilton, K. & Hewer, P., 2010. Tribal mattering spaces: Social-networking sites, celebrity affiliations, and tribal innovations.Journal of Marketing Management, 26(3), p.271-289. Shih, C., 2010. The Facebook Era: Tapping Online Social Networks to Market, Sell, and Innovate, Prentice Hall. The growing deployment of new technologies in all parts of society is often likened to the emergence of a new form of society and coupled with that a new form of economy, namely the network economy. This lecture reflects on the content of the course and debates in sociology and related disciplines to explore how marketing theory and methods may be developed to capture current changes in marketing practice. Achrol, R. S. and Kotler, P. (2010). Marketing in the Network Economy. Network, 63(1999), 146-163. Anderson, C. (2009). The Long Tail. Business. London: Random House. Baym, N., 2010. Personal Connections in the Digital Age, Cambridge, UK: Polity Press. Bennett, S., Maton, K. & Kervin, L., 2008. The “digital natives” debate: A critical review of the evidence. British Journal of Educational Technology, 39(5), p.775-786. Brogan, C. & Smith, J., 2010. Trust Agents: Using the Web to Build Influence, Improve Reputation, and Earn Trust, John Wiley & Sons. Benkler, Y., 2007. The Wealth of Networks, New Haven & London: Yale University Press. Castells, M. (1996). The Rise of the Network Society. Vol. I: The Information Age. Economy, Society and Culture. Malden, MA: Blackwell. Castells, M. (2002). The Internet Galaxy. Reflections on the Internet, Business, and Society. Oxford: Oxford University Press. Chaffey, D., Ellis-Chadwick, F., Mayer, R., & Johnston, M. K. (2008). Internet Marketing: Strategy, Implementation and Practice (4th ed.). Harlow/UK: Financial Times/Prentice Hall. Cova, B., & Dalli, D. (2009). Working consumers: the next step in marketing theory?. Marketing Theory, 9(3), 315-339. Palfrey, J., 2010. Born Digital. New York: Basic Books. Qualman, E., 2010. Socialnomics: How Social Media Transforms the Way We Live and Do Business, Chichester: John Wiley & Sons. Shirky, C., 2009. Here Comes Everybody: The Power of Organizing Without Organizations, London: Penguin. Tapscott, D., 2008. Grown Up Digital: How the Net Generation is Changing Your World. McGraw-Hill Professional. Tapscott, D., & Williams, A. (2008). Wikinomics: How Mass Collaboration Changes Everything. London: Atlantic Books. via @charleneli Great find, Charlene! On Friday, March 11 2011, we were lucky to have Jadis Tillery as a guest speaker in the module “Marketing and New Technologies” (MSc International Marketing, King’s College London). Her talk nicely complemented prior guest lectures in the module, given by Rob Wilmot and Ilicco Elia. Jadis, a KCL alumni, currently works as Social Media Manager at dottalent, an agency that helps celebrities to enhance their brand by using the web and social media effectively. In her lecture, Jadis provided an overview about the various tools and technologies avaialble on the web for companies as well as customers to make themselves heard and thus create a brand image. She argued that the increasing pervaiveness of social media has led to the emergence of social media marketing as a fundamental shift away from traditional marketing practice. Social media marketing rapidly transforms traditional marketing practices, characterised by the marketing concept, the 4Ps, by allowing customers to contribute to all aspects of the marketing mix. In the broadcast media social media sometimes still are seen as a fad. Statistics of memberships in social networking sites and the growing spending on digital marketing campaigns tell a different story. Furthermore, the recent political changes in North Africa and the Middle East that have used social media sites like Twitter and the importance of social media for people’s communication in regions affected by environmental disasters powerfully show that social media matters. 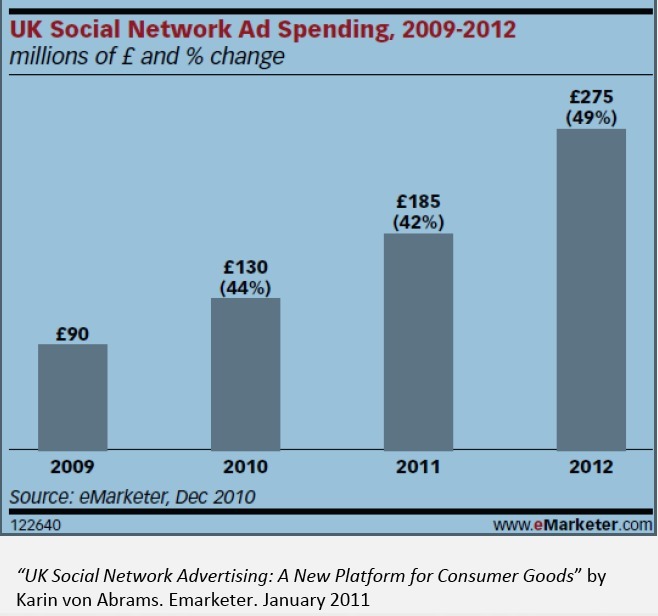 The immense growth of social networking sites such as Facebook and Twitter have stimulated companies to increase their digital marketing budget on advertising their goods and service online, rather than on TV, and to open sites on Facebook where they not only engage with customers but also sell their products. Jadis illustrated this development by pointing to FMCG, fashion and travel brands that now use Facebook pages for ecommerce activities. Whilst Facebook with its 500Million members is the best known social network, the importance of other sites such as Twitter and YouTube is not to be underestimated. Twitter’s attractiveness is in the opportunities it offers people to engage in conversations with brands, like companies or celebrities. These conversation need to be carefully conducted as they are publically visible, and can create embarrassement or even lead to libel action. Over the years, YouTube provides people and companies with new ways to entertain, inform and engage others with a brand or project. There are a large number of videos that have “gone viral” and thereby drawn a lot of attention not only to people, companies and events but also to the importance of social media as a new advertising tool. Amongst those viral videos that have been influential and have gone viral are entertaining/fun clips like Keyboard Cat, clips that customers of companies have produced after having had a bad service experience like United breaks Guitars, and YouTube Channels like the Uncultured Project that raise awareness as well as initiate and support campaigns in regions struck by disaster. Over recent years, the importance of social media has further increased through the growing popularity of smart phones and other mobile devices. 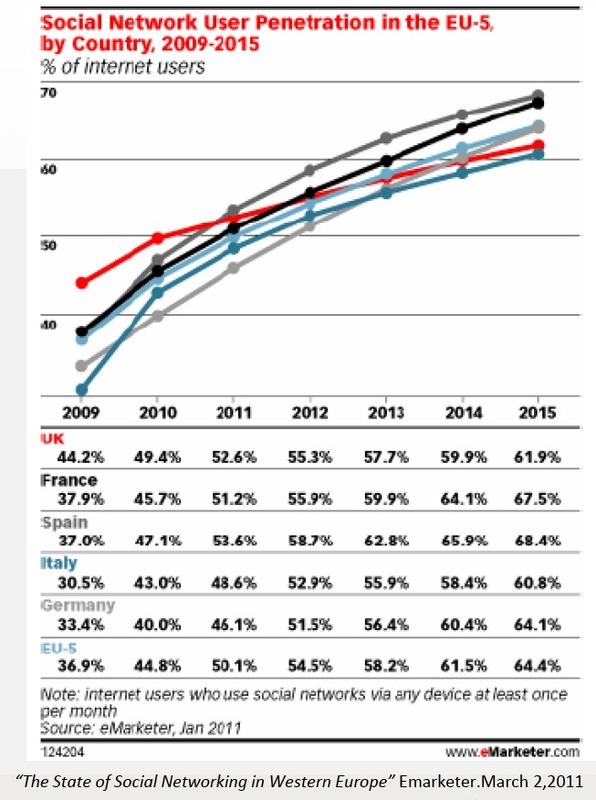 Jadis pointed at statistics that show the growth in mobile Internet traffic. For example, in 2010 the mobile data traffic was three times the size of the global Internet traffic in 2000. It is anticipated for the mobile data traffic to increase 26-fold between 2010 and 2015. These developments are being supported by the success of app-stores. Jadis who works for dottalent, an agency that helsps celebrities to use social media in an effective way, argued these developments are of importance for everybody. As people use social media they leave a digital footprint that is accessible by (potential) employers and customers. It therefore will become increasingly important to create one’s own digital footprint, or in marketing terms, to create a personal brand online, using tools like Twitter and LinkedIn. Anderson, Chris. The Long Tail: How Endless Choice is Creating Unlimited Demand. Random House Business Books. London, UK. 2006. Jarobe, Greg. YouTube and Video Marketing: an hour a day. Wiley Publishing. Indianapolis, India, USA. 2009. Levy, Justin R. Facebook Marketing: Designing your next marketing campaign. Pearson Education Inc. USA. 2010. Shih, Clara. The Facebook Era: Tapping Online Social Networks to Build Better Products, Reach New Audiences and Sell More Stuff. Prentice Hall. London, UK. 2010. Shirky, Clay. Here Comes everybody: The Power of Organizing without Organizations. Penguin Press, New York, NY. 2008. Webber ,Larry. Marketing to the Social Web: how digital customer communities build your business. John Wiley & Sons. Hoboken, NJ, USA. 2009. On February 4th, 2011, Rob Wilmot, Director of BCS Digital and Co-founder of Freeserve gave a guest lecture on “Marketing & New Technologies”, a module that I convene as part of the MSc International Marketing at King’s College London. In his lecture “Social Media and the New Economy” Rob provided a fantastic overview of the importance of Social Media to business and marketing as well as to Masters’ students who soon will go out and look for work. Rob named 2009 as a watershed when Social Media turned from a fringe activity into becoming the mainstream. He names 4 events that pushed Social Media to the fore: (1) backed by a Facebook/Twitter campaign Rage Against the Machine ‘steal’ the Christmas No. 1 spot from the 2009 X-Factor Winner Joe McElderry, (2) on Christmas Eve, for the first time, Facebook had more site visits than Google US, (3) Pepsi pulls its adverts from the Superbowl in favour of a Social Media campaign, and (4) Barak Obama becomes President of the USA after an election campaign that made very effective use of Social Media. 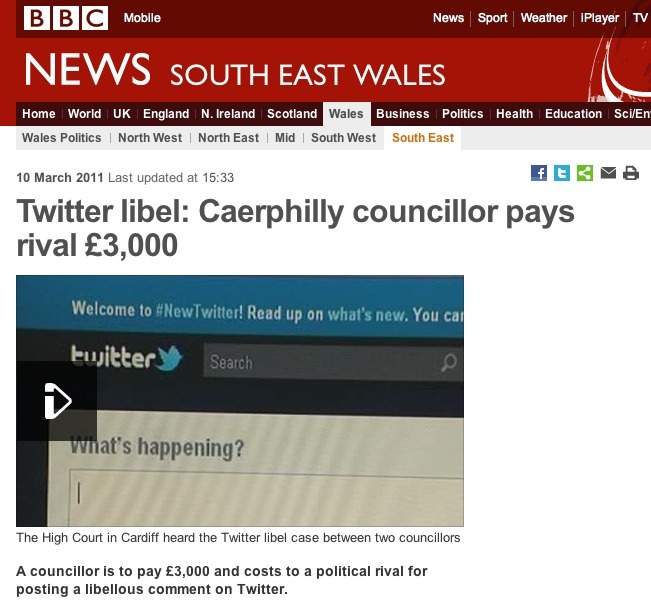 Since 2009, this development of the growing importance of Social Media for political campaigns and business activities has accelerated and spread into other areas, such as police investigations and professional football. New Social Media websites emerge all the time and the next big service/site following Facebook’s success is probably out there already (Rob Wilmot). The spread of Social Media is closely monitored and investigated by commercial research institutes such as Forrester Research and the Altimeter Group. This research provides interesting insights into what Social Media people use – right now mainly Facebook and YouTube -, what kind of new Social Media services are currently emerging – right now, in particular Twitter – and what the demographics of Social Media users are. It also suggests that people use Social Media for different purposes and in different ways, and increasingly while being on the move rather than while sitting at a Desktop Computer. For the “new economy” that is arising from these developments “recommendations” of products, services and websites are of particular importance. For example, with the deployment of ‘like’ and ‘share’ buttons “Facebook aims to become the authority for recommendation on the Internet” (Rob Wilmot). This development is highly relevant for all Social Media users as the effectiveness of recommendations is closely linked to the ‘trust’ people have in each other; “trust” being seen as the basis for the building of relationships. Companies are well aware of the link between ‘recommendation’ and ‘trust’ and pay celebrities and Twitter users with large numbers of followers, fans and friends for recommending their products and services. For the rest of us, the link between ‘trust’ and ‘recommendation’ highlights the importance to take care when posting on Facebook, Twitter and other sites. In order to develop a reputation and to build trust it is critical not to post false, misleading, offensive etc. messages to Social Media sites: ”imagine your post is published on a billboard visible to everybody on the street” (Rob Wilmot). The effectiveness of Social Media has been notoriously difficult to measure. The impact of wrong-footed Social Media campaigns such as those by Habitat (2010) and Kenneth Cole (2011) for the image of companies, are well reported. For the measuring of the Return on Investment (ROI) tools are developed by Forrester, Altimeter, Google and many others that provide information on the relationship between Social Media campaigns and monetary return. This information is critical to refine campaigns and continue to engage with customers. As Social Media continues to develop alongside more conventional marketing channels the instruments to measure their effectiveness in delivering ROI will be refined and further developed. Social Media are not a magic wand that resolves all the problems marketing managers may have with building relationships with customers in an increasingly complex and competitive environment. However, they are a powerful additional channel marketing managers need to take seriously when developing campaigns and engaging with (potential) customers. Common-sense rules about the way in which to conduct communication are valid in Social Media just as in conventional marketing channels. However, Social Media fundamentally change the relationship between companies and customers: in particular, they facilitate conversations with customers and, if used in the right way, support the building of trust and long-term relationships with customers. ss, evaluate and measure their (monetary) success or failure. It seems that whilst effective measures for the quantitative impact of Social Media campaigns are emerging, methods to be used for the assessment of qualitative aspects of the relationships between Social Media users are still underdeveloped. The lecture implied a range of possible research questions. The research the lecture has been based on, origins from studies conducted by research companies who aim to inform management practice and marketing strategies. Detailed academic research can contribute to this research by unpacking the concepts and foundations of relationships this research is pointing to. 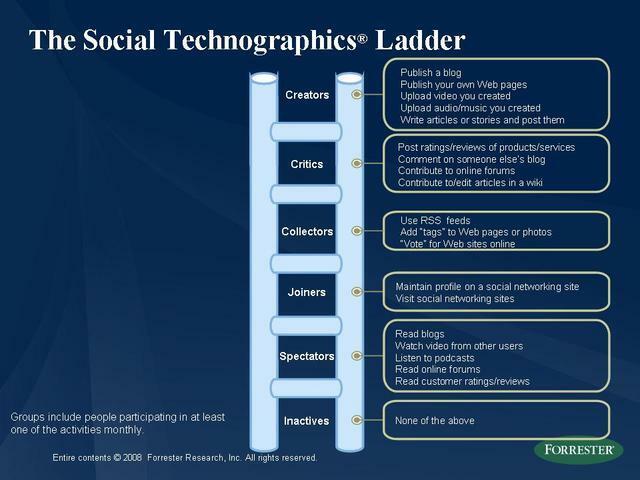 For example, the Social Technographics Ladder developed by Forrest Research (see Li & Bernoff 2008) creates a typology of people according to the ways in which they use Social Media tools, such a blogs, podcasts or RSS feeds. Little do we know of how people actually ‘read’ and ‘collect’ Social Media content, what resources they draw on and how they use these resources to create new content and new forms of content. Furthermore, much has been written about the importance of the building of relationships that often origin in ‘recommendations’ from “trust agents” (Brogan 2010). Yet, little do we know of what ‘recommendations’ are made up of, when do they arise and how are they designed in different situations and with regard to different products, services and people. How do long-term relationships and loyal customers of a company arise from a recommendation by a Social Media ‘friend’. ‘Relationship’, ‘loyalty, ‘trust’, ‘reputation’ and ‘recommendation’ in this context are often used as a generic concepts rather than as products of interaction between people. Little is known of the processes through which these ‘products’ of interaction are brought about. Detailed studies of interaction between people, online and offline, and in particular between marketing practitioners (shop keepers, vendors, marketing managers, direct marketeers, customer service personnel, etc.) and customers will useful in helping to unpack generic concepts like ‘relationship’, ‘loyalty’ and ‘trust’. Furthermore, they can specify the social organisation of activities such as the ‘conversation’ between companies and customers or those activities described in debates about Social Media as ‘engaging’ and ‘recommending’. With such complementing interests of research companies and academic scholars it would seem sensible to engage in joint research projects and programmes that aim to develop generic concepts and models whose components are well understood and specific that they can inform the Social Media activities of companies and customers. Anderson, Chris. 2006. The Long Tail. How endless choice is creating unlimited demand. Random House. Brogan, Chris & Smith, Julien. 2010. Trust Agents: Using the Web to Build Influence, Improve Reputation, and Earn Trust. John Wiley & Sons. Li, Charlene & Bernoff, Josh. 2008. Groundswell: Winning in a World Transformed by Social Technologies. Harvard Business Press. Solis, Brian. 2011. Engage: The Complete Guide for Brands and Businesses to Build, Cultivate, and Measure Success in the New Web. John Wiley & Sons. Tapscott, Don & Williams, Anthony. 2007. Wikinomics. How Mass Collaboration Changes Everything. Atlantic Books.